Do you want Radiant looking skin? 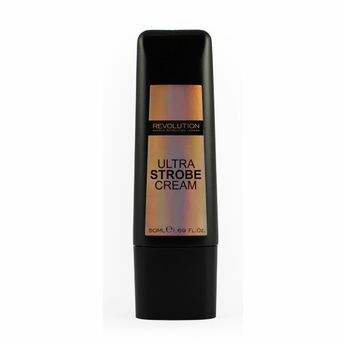 The Makeup Revolution Strobe Cream can either be applied under the foundation to give yourself a glow or on top of foundation to highlight. A creamy formula that soaks into your skin quickly if applied before foundation or easily blendable for those highlighted areas. Give a beautiful golden glow to your skin and a more radiant appearance. Explore the entire range of Bronzer available on Nykaa. Shop more Makeup Revolution products here.You can browse through the complete world of Makeup Revolution Bronzer .